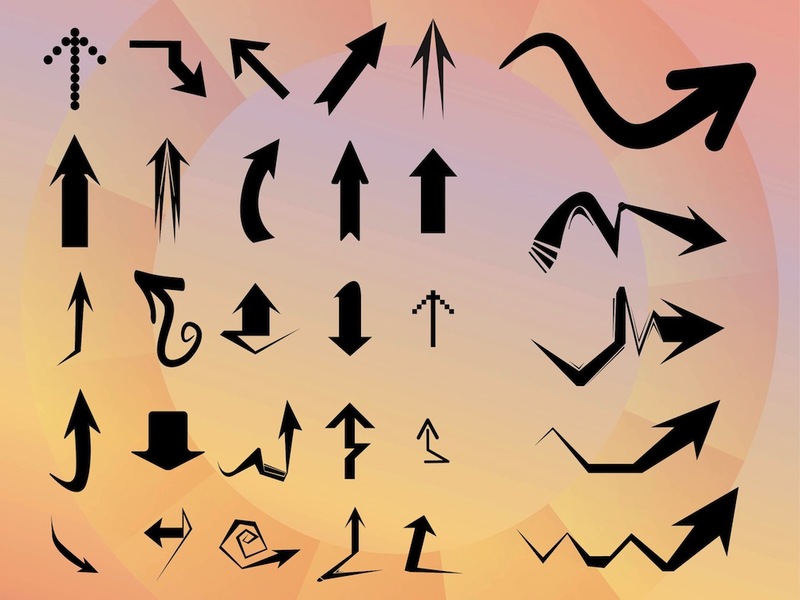 Vector image collection with various arrows. Different shapes and illustration styles: geometric shapes, organic curved lines, street art style arrows. Variety of icons to use when showing directions or drawing the attention towards an object. Free vector images for all logos, icons, document decorations and stickers. Tags: Decorations, Directions, Icons, Logos, Pointers, Pointing, Stickers.